Have you ever wondered what becomes of clothes that are used for display purposes? What about the ones that simply don’t get sold in stores during their designated season? 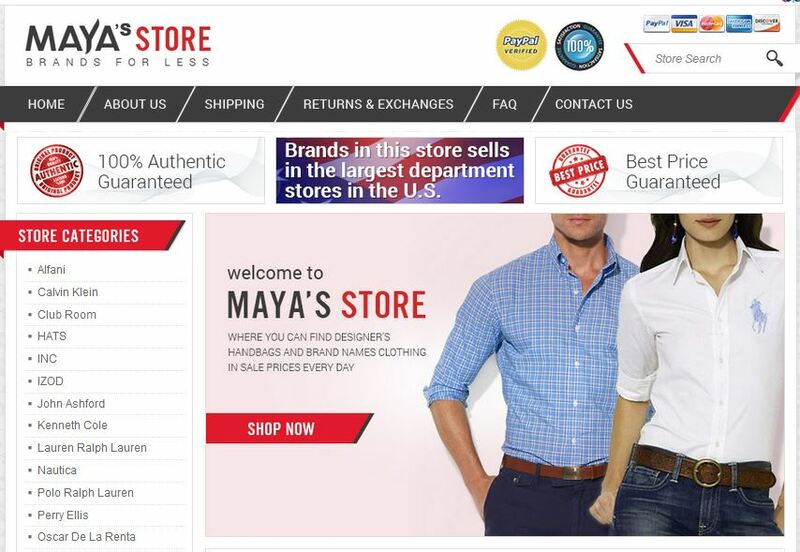 Luckily for fashionistas who value a bargain as well as the latest trends, many times this stock gets bought by discount retailers like Maya’s Store. 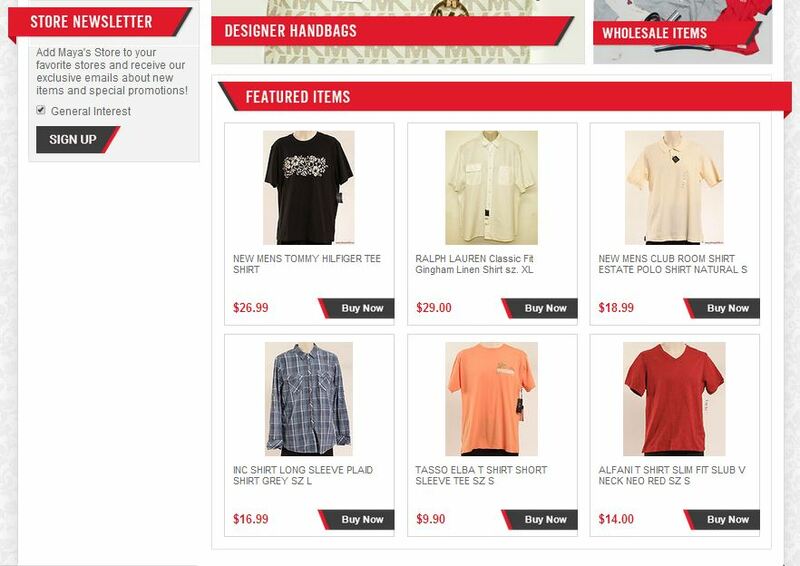 In their pursuit to bring affordable fashion anywhere in the world, they decided to consult the experts at OC Designs Online and make 2014 their biggest year yet thanks to a custom eBay store design. Before customers even begin filling their shopping bags, a PayPal verification and satisfaction guarantee sit reassuringly next to a list of accepted payment methods. From this quadrant of the header, isolating for brands, individual items or specific criteria is easy with the help of a ‘store search’ feature. Here keywords or phrases cull inventory based on your requests. Below, the eBay store design displays, shipping, return and exchange policies as well as FAQs along designated tabs in the main navigation bar. Jumping over to the left sidebar dozens of store categories have been broken down by brands and styles, making it a cinch to browse. Next, a list of reasons to shop give way to well organized, overarching categories including men’s clothing, brand name items, designer handbags, and wholesale items. Click anywhere on the graphic and a multitude of merchandise emerges. 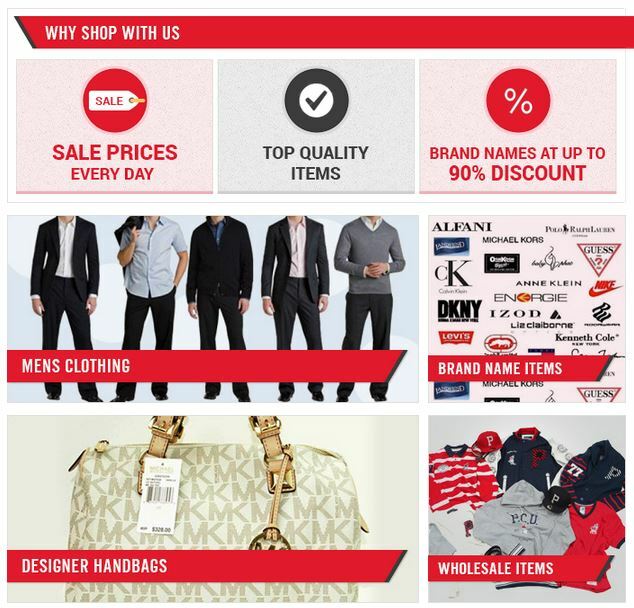 The midsection of this custom eBay template is home to a six-panel spread of featured products. Each of these is underscored with a photograph of the item, a brief description and price. Change them out based on season or high demand for increased profitability! Wrapping up the left sidebar is one of your company’s most valuable tools- your mailing list. With this invitation for shoppers to sign up for emails about special items or promotions, your marketing efforts keep paying off long after you’ve closed the sale. Finally, we close all our well-executed eBay store designs with a custom footer. Here we’ve included key company information taken from the header and affixed the logo in the bottom left corner, reinforcing brand recognition. eBay is a competitive world but at OC Designs Online we can help you gain the extra edge you need to find buyers and build a following of repeat clients. If your eBay store is in need of pumping up, check out our eBay store design portfolio page. We’re confident you’ll be convinced to request a free quote that will not only boost your sales but build brand recognition!